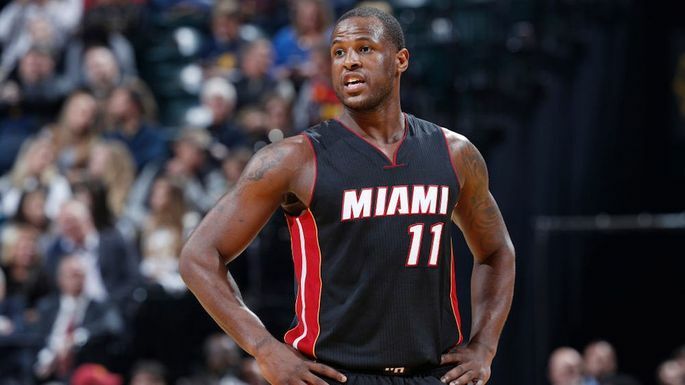 Growing up with his stepfather and his teenage mother, who had him at the age of 17, American professional basketball player Dion Waiters is said to have fallen in love with basketball right from his childhood days when he used any opportunity he had to play. Waiters is also known to have played only two years of college basketball at Syracuse before declaring for the 2012 NBA Draft where he was selected by the Cleveland Cavaliers as the 4th overall pick and after his stay in Cleveland, he spent a year and a half with the Oklahoma City Thunder, then later signed with the Miami Heat in 2016 where has been till date. The famous American basketball player was born on the 10th of December 1991 to Dion Waiters Sr. and Monique Brown in Philadelphia, United States of America. At the time of his birth, his father was locked up in Jail and was not there to witness his birth. Barely a few hours later, his grandmother died hence he grew up with his teenage mum alongside his stepfather, James Barnes. Being a very active child who loved the game of hoops, Dion Waiters was found playing basketball almost every time of the day during his childhood years. He attended both Bartram High School and South Philadelphia High School but he is said to have started playing basketball at Life Center Academy. He finished high school with very impressive scores that earned him the position of the 15th best overall recruit according to ESPNU and ranked as the No. 2 best shooting guard in the ESPN 100. Dion Waiters was also ranked as the 29th best overall recruit by a site called the Rivals.com. While the budding player was in college at Syracuse, he continued to play basketball recording in his first season an average total of 6.6 points, 1.5 assists and 1.6 rebounds per game. In his second season, his average points, assists, and rebounds per game were recorded as 12.6, 2.5 and 2.3 respectively. His efforts were crowned with success when he was named the Big East Sixth Man of the Year and also received third-team All-Big East honors. More to that, Dion Waiters was named AP Honorable Mention All-American and was selected to the All-Big East Tournament team. He was drafted in the 2012 NBA draft as the 4th Overall Pick by the Cleveland Cavaliers. Dion Waiters started his professional basketball career when he was drafted in the 2012 NBA draft by the Cleveland Cavaliers as the 4th overall pick. While playing for the Cleveland Cavaliers he totaled a career high of 33 points, which he scored against the Sacramento Kings one of the very strong team and in the next year, he was chosen to play in the Rising Stars Challenge. The following year, he also took part in the BBVA Rising Star Challenge were he displayed a brilliant performance smashing 31 points and 7 assists. In 2015 Dion Waiters was traded from Cavaliers to Oklahoma City Thunder on the 5th of January however in his debut match for the Thunders, the team suffered a poor performance as they lost to Sacramento Kings, but in his second match for the team, he helped the team win the Utah Jazz, in a 99–94 victory. In 2016, his career with the Thunders came to an end and he was signed by the Miami Heat on July 26, 2016. He made his debut for the team in the opening game of the season where he recorded 9 points, 6 rebounds and 4 assists in a 108–96 win against the Orlando Magic. In the second year, Dion Waiters was named Eastern Conference Player of the Week and he attained a career high of 33 points in the match against the Minnesota Timberwolves but the game ended in a 125–122 loss. The NBA player suffered a left ankle injury which forced him out of a match in January 2018, however, he is said to have undergone a successful surgery to fix the instability in his left ankle. He missed the end of last season due to the injury and speculations are rife that he will likely not be fit and ready for the team’s season-opening game in October 2018. Furthermore, sources also reported that the Miami Heat player will not return to action until he is physically fit to continue his basketball career. It is worth knowing that Dion Waiters is the cousin of former Syracuse guard Scoop Jardine. The talented basketball player has a height of 6 ft 4 inch or 1.93 m which is complemented with the weight of 215 lb or 98 kg.